Sydney’s North West is becoming an increasingly sought after investment hotspot amid subdued development activity driving both local and offshore competition in the tightly held market. 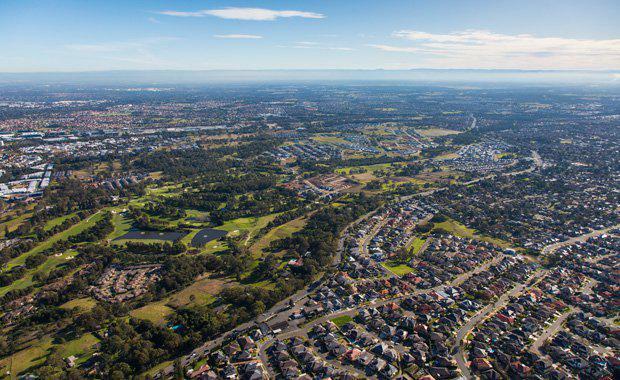 Tom Sheridan of CBRE’s Western Sydney Capital Markets team said regions such as Baulkham Hills, Castle Hill, Kellyville, Dural and Blacktown were particularly in demand from investors, predominately along busy thoroughfares and in neighbourhood centres. According to Alex Mirzaian, Senior Manager, CBRE Capital Markets, the softening Australian dollar is driving offshore groups to look at Australian investment, with Asian buyers honing their focus on the North West. “Freestanding retail investments leased to blue chip tenants including major supermarket chains are very sought after, with investors wishing to acquire these assets to anchor their property portfolios,” said Mr Mirzaian. Alex Ugarte of CBRE Capital Markets said the North West was currently experiencing an oversupply of housing and an under supply of community benefit stock – including service stations, neighbourhood shops, grocers and food premises - which was providing opportunities for savvy investors. The sale of 2A Hector Court, Kellyville exemplified this trend, with Woolworths acquiring the site in a deal valued at 12.5 million. CBRE Capital Markets negotiated the sale via a five week Expressions of Interest campaign, which saw strong interest from a range of investors due to the site’s favorable B2 local centre zoning. “Owners in the North West have benefitted from government spending on infrastructure over the past two to three years, with strong capital growth experienced in the area. While there remains confidence in the region, the growth in value has certainly subdued. With the election looming, and some major issues on the table in regards to negative gearing and the property investment market, there has been a significant shift in the residential market - which is contributing to the interest in the commercial and retail sector,” said Mr Ugarte.